*Please note that this camera can only be used with a monitor with 4PIN connector. 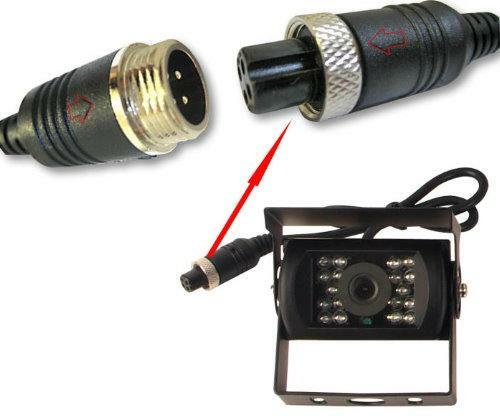 7" Monitor Reverse Camera Kit is also available separately from our store if interested please click here. 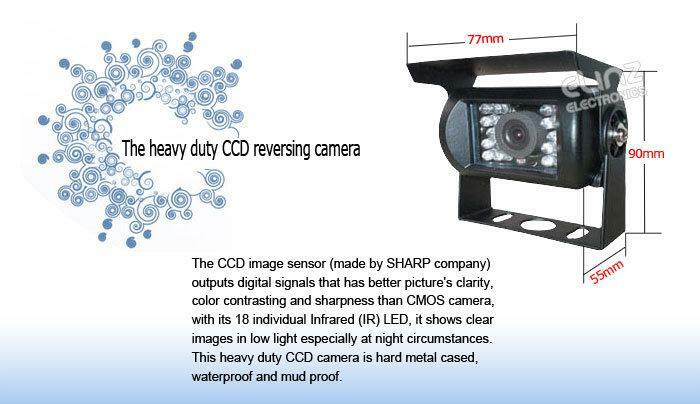 The CCD image sensor (made by SHARP company) outputs digital signals that has better picture's clarity color contrasting and sharpness than CMOS camera with its 18 individual Infrared (IR) LED it shows clear images in low light especially at night circumstances. 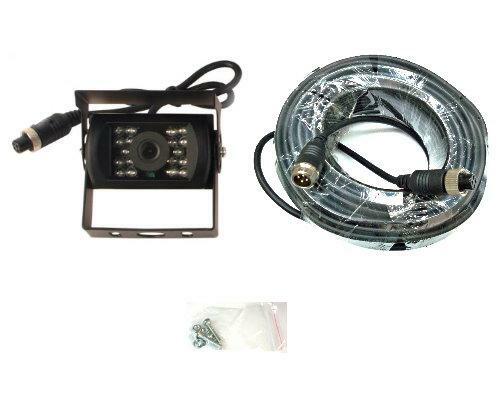 This heavy duty CCD camera is hard metal cased waterproof and mud proof. Can last for longer without heating up so you can show the rearview at all time. *Please note that a 10 meter video cable is included in the sale extra length video cable is available for purchase please contact us for details. As always, this camera like other items I have purchased from Elinz, is good quality, well protected in wrap/postage and arrived in a speedy fashion. They do a great job. Thanks guys, John.